On 6 April 2018, Vantage Music is proud to present Fournier Trio’s debut recital at Carnegie Hall. 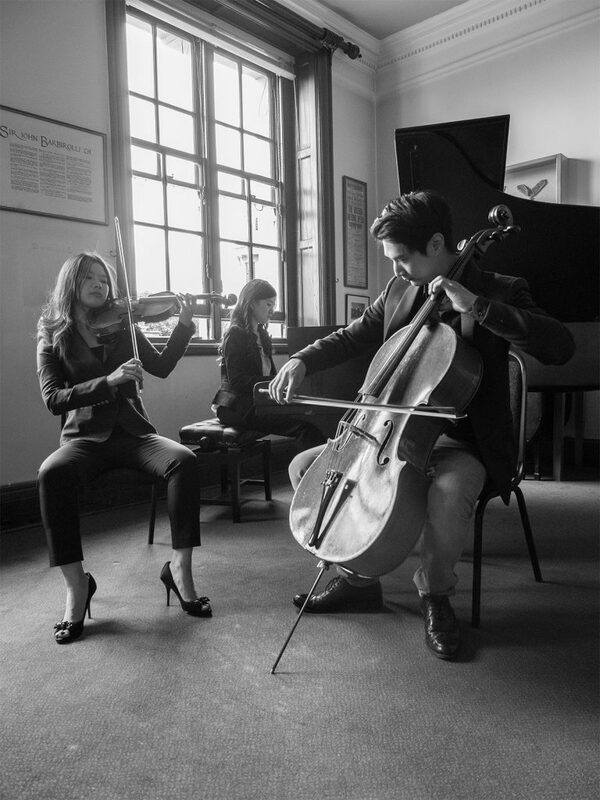 Our editorial board previously had the pleasure of having a dialogue with the members of the Trio: pianist Chiao-Ying Chang, violinist Sulki Yu and cellist Pei-Jee Ng. VM: Can you tell us about the forthcoming programme at Carnegie Hall? How did this come to be? PJ: Tchaikovsky’s Piano Trio is one of the greatest trios in the repertoire and we feel it will serve well as the centrepiece for our Carnegie Hall debut. This will be the main work and we shall then build the programme around that. CY: Beginning with Beethoven’s “Ghost” trio, the programme will then be followed by a new trio written by Hong Kong composer Lam Fung. We are all very excited to have the world premiere of his work. VM: I am really looking forward to that! Any particular reasons to include the Beethoven piece? CY: It is a vibrant and energetic work to open the concert, with the incredible “Ghost” movement in the middle. We would like to make our debut truly special by presenting one of our favourite Beethoven trios. PJ: It’s a great way to open a programme, as it’s fresh and striking. VM: Did you perform the Tchaikovsky trio before? PJ: A few years ago, we performed it in Dumfries during our Scottish tour and also at St John’s Smith Square in London. SY: Performing Tchaikovsky Piano Trio takes you on a journey. I personally feel as if I am experiencing “life” whilst playing this piece. You become a different person at the end of the performance! VM: Can you tell me something special about the Trio? 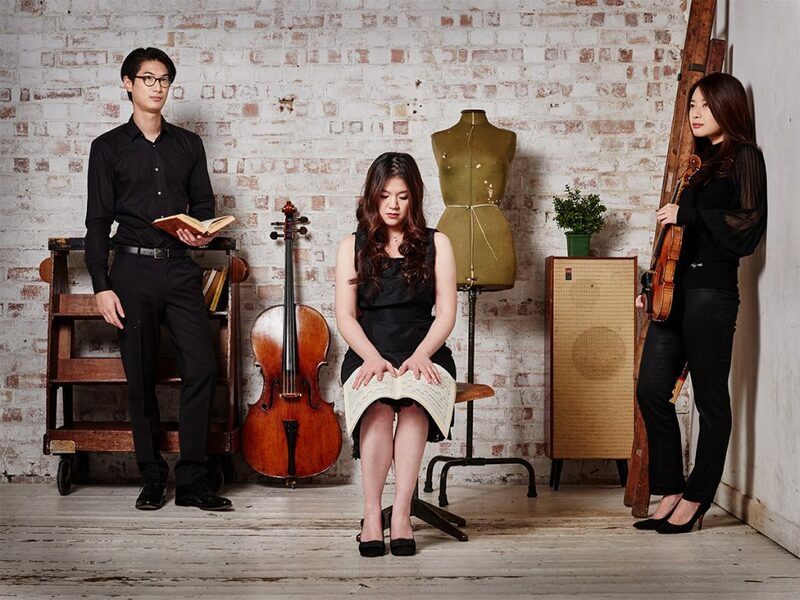 CY: We are named after the great French cellist Pierre Fournier who taught Pei-Jee’s cello teacher. He was regarded as “the aristocrat of cellists” and made many important recordings in chamber music. We aspire to be artists with his spirit and beliefs and be as sincere, honest and profound as we can. As a trio, we have just celebrated our 8th birthday without any personnel change and would like to continue the journey together. SY: We want to be honest to the composer and have the ability to sound versatile to make sense for the composer. VM: What sparked the idea of forming the Trio? PJ: Luck and coincidence. We were all subconsciously looking to form a chamber group at the time. The way we came to form as a trio was a very fateful series of events. If you want something, you will find a way to make it happen. SY: Chiao-Ying and I first worked together as a duo. CY: After playing with Sulki, we immediately sparked the idea of potentially forming a trio together. SY: In 2009, due to the Park Lane Group, Pei-Jee and I both had a solo debut on the same day, so we were aware of each other. Then, the following year, Chiao-Ying and I had an evening duo recital at Wigmore while he was performing at lunchtime the following day. So, I went to hear him play and wanted to say hello. After the concert, I went to greet him backstage. Upon meeting him, he said it would be great if we could play together. I didn’t even need to be the first one to mention this. CY: We then arranged to meet up and read trios the next day. The rest is history! VM: Any role models you wanted to work towards at that time? PJ: When we were just starting as a trio, we informed ourselves by listening to recordings of many other trios and discovering the different unique style they each had. I wouldn’t say we specifically had one trio group as a main source of inspiration. VM: I remember your debut performance in Hong Kong in 2013. How has the Trio moved forward since then? SY: We had a tour of South Korea in 2015. We also released two albums; the first one, in 2015, Fauré, Salter and Ravel, and the second one, in the following year, Mendelssohn’s two piano trio masterpieces. 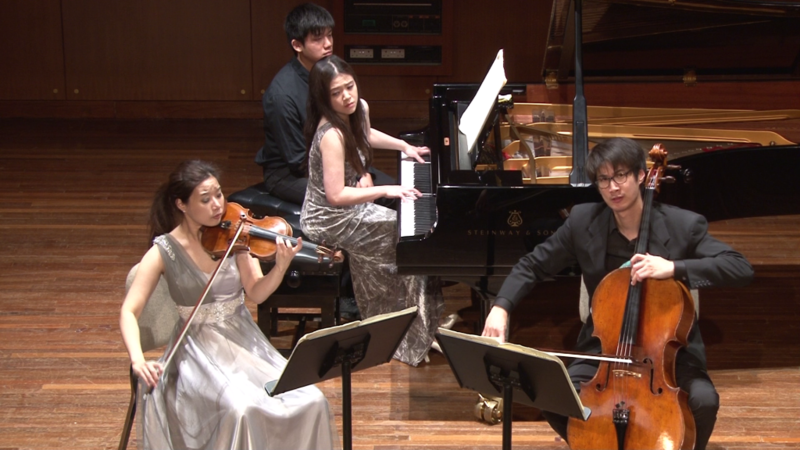 PJ: This year in May , we gave a concert of Beethoven’s Triple Concerto in Seoul, South Korea, then afterwards we completed Beethoven’s trios cycle with three concerts. VM: Have you felt any differences compared to when you were in Hong Kong? PJ: We did discuss this amongst ourselves. Our distinctive style and sound as Fournier Trio has remained consistent over the past few years. The only kind of change we have noticed perhaps is that we are becoming more flexible as a group. VM: Flexible, in terms of…? PJ: In terms of musical exploration and performance due to the number of years we have been playing together and our improved understanding of each other. VM: I have been told that an ensemble would need at least three years for a unique style to emerge. Is that true in your case? PJ: I think it depends on the group. For some personalities, you can immediately feel an accord, but some may take a little bit longer. SY: There is usually a reason when a group comes together. There should be a special connection between the group members. Throughout the years, we have come to know each other better and thrived in finding a balanced “trio sound.” I don’t know if one can set a definitive time for this to be achieved. It may take only few months for some whereas for others, this may take years. CY: It also depends on the ages of the musicians. Younger players would need more guidance while refining their individual craftsmanship. Over the years the mutual trust and understanding between us continues to grow and our style most certainly becomes more distinctive gradually. VM: That’s something quite precious! VM: Any influential mentors for the Trio? 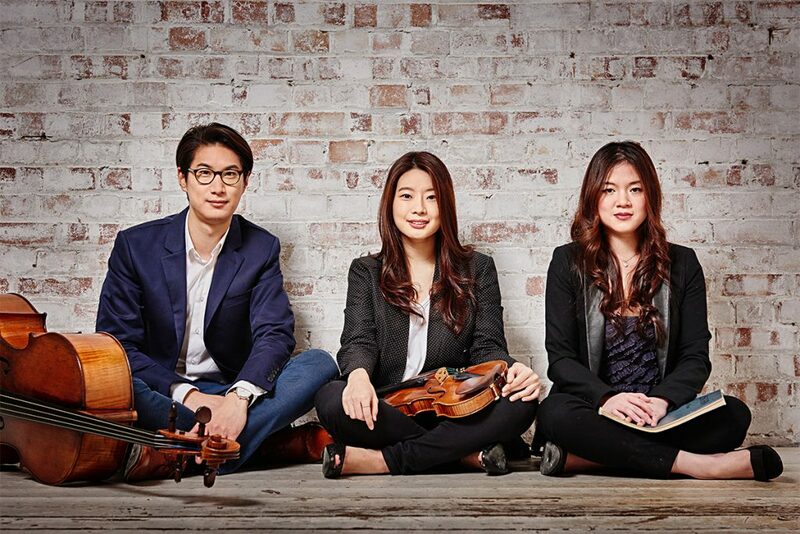 SY: We have had violinist David Takeno at the Guildhall School of Music & Drama since the inception of the Trio. He came to our concerts and provided moral support and inspiration. We were very lucky. PJ: Especially during our early years, where we spent many, many hours studying with him. CY: Also, we were fellows at the Royal Academy of Music for two years. We had the chance to work extensively with Thomas Brandis, the former chair of chamber music there and a former concertmaster at the Berlin Philharmonic. He was definitely influential in shaping our style over these two years. VM: Any repertoire you developed during that time? PJ: German repertoire, including those of Mendelssohn and Schumann. Sadly, he passed away in early 2017. He played an important role in setting our foundation and our discipline in approaching rehearsals. SY: Of course, we had guidance from our individual teachers including Christopher Elton and Ralph Kirshbaum as well. VM: You have been involved in the Dartington Music Festival for some time. Can you tell us more? CY: We were first invited to the Festival in 2015. Aside from daily instrumental workshops and chamber music coaching, we worked intensively with young composers in the advanced composition course. SY: We worked with young composers to write piano trios. Towards the end of the festival, we performed their works. Thinking about it, it was actually something quite challenging. CY: We had to learn five newly-written piano trios within five days and be ready to perform in concert! Hugh Wood led the course and together we gave comments and practical suggestions to the student composers. VM: Where did these students come from? PJ: They came from all over the UK. CY: Some travelled from continental Europe as well. Most of them were students from music colleges in the UK and selected by the course leader. VM: On top of that, you also gave individual lessons? CY: Yes, we held workshops and sometimes group classes. VM: How about their backgrounds. Did they know the three instruments well? CY: Most of these young composers knew how to play the piano. They all tried to be creative and experimented with various interesting effects and techniques on all three instruments. Some were quite unusual and challenging. VM: I notice that for two particular years Pei-Sian Ng [Pei-Jee’s twin brother] was the cellist at the Dartington Festival. PJ: Yes. Unfortunately, on those occasions I wasn’t able to join because of other commitments. So I asked my brother to step in and he kindly took over my role there. SY: Chiao-Ying and I enjoyed working with Pei-Sian very much. The twins look very much alike although they are not identical. We could have done the whole festival without anyone noticing that it wasn’t Pei-Jee! However, in order to give Pei-Sian credit for his hard work, I felt obliged to announce this right after our concert. But even then, people thought we were joking! CY: The brothers are very different in terms of playing style. Yet they are both easy to work with. Pei-Sian gave us some fresh ideas while supporting our original interpretations. VM: Any experience in expanding your repertoire by adding an extra member? PJ: It’s possible to add a viola to form a piano quartet. It is quite natural and easy to do. We worked with renowned British violist Lawrence Power during our tour of Norway. VM: What did you play? CY: Fauré’s Piano Quartet No. 2. VM: Any particular composer or era of work in which the Trio does their best? PJ: We are at our best with a piece from whichever composer we are working with at the time! Just kidding! 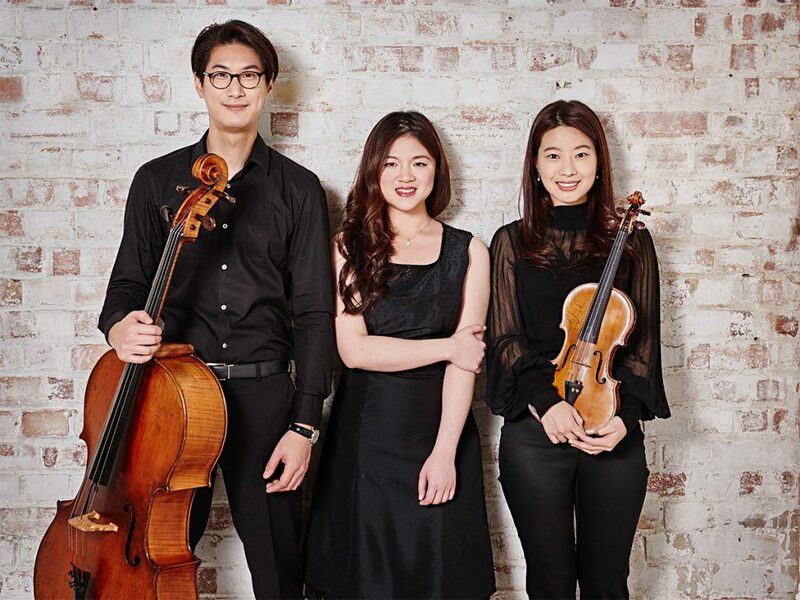 We absolutely love and feel comfortable with the great Romantic works, German repertoire, and I think the Trio is also very good at taking on modern music. We are quick learners and feel quite natural at exploring new sound worlds. VM: Can you share any experiences with us of working with composers of contemporary music? PJ: When you are working with the works of composers who are no longer alive, you must interpret everything from the score and historical context. However, when we are working with a living composer on a brand-new piece, we take it as an opportunity to make use of our creativity, bringing forth new ideas. We have been very fortunate that the composers we have worked with were willing to allow us to explore their work, resulting in a true sense of collaboration. It is a special situation to work with living composers who are writing for you. An opportunity for us to offer our insight as performers. I remember working with Gary Carpenter, one of the UK’s foremost composers, for a Wigmore concert where we also performed Ravel. It was very interesting to see the ways he incorporated elements and techniques inspired by Ravel into his trio. It made for a very cohesive programme. VM: Any advice for the next generation who are looking to form a trio? PJ: They need great determination and performance experience. They have to find opportunities to work with others, identify the sound they want and to be happy with the people they work with. From then on, the hard work actually starts. SY: Being truthful to the scores is very important. PJ: Having respect for the music. SY: The score is your Bible, so don’t be lazy in studying that. CY: The beauty of chamber music is how the players respond to each other and create a collaborative piece of art harmonically. Ensembles with piano may encounter balance issues and they should do their best to adjust accordingly and be as sensitive as possible. Image credits: (Still photos) Kaupo Kikkas Photography; (HK Concert debut) Vantage Music; (Black & White photo) Jonathan H Williams Photography.